Home News Slovan is coming home! ŠK Slovan Bratislava will play home matches at Tehelné pole! After 3303 days at Pasienky, Slovan Bratislava is coming back home. The new stadium at Tehelné pole will host our home matches from March 2019. 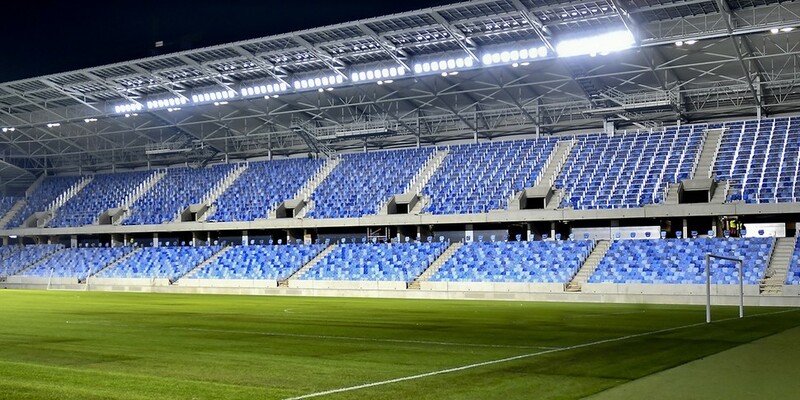 The next home game against Spartak Trnava, which is scheduled on 2nd March 2019, will already take place at new stadium. Slovan is coming home at occasion of 100th anniversary of foundation the club and exactly 50 years after victory in Cup Winners´ Cup. At Tehelné pole, there will be a new, modern stadium for 22 500 spectators, which will fulfil UEFA 4 criteria. New stadium will offer great comfort for fans, who can enjoy the immediate contact with pitch and players. Even if you are international fan and don´t want to miss our home games, you can buy a permanent ticket. We offer permanent ticket for all home games in 2018/19 season (6 games). We will play against Trnava at home and then five more attractive games in preliminary round for title. If you buy permanent ticket, you save one games (you pay only for 5 games). For now, we sale only permanent tickets for second part of the season. Single tickets for match against Trnave are not available now. We will announce more information about that in time.